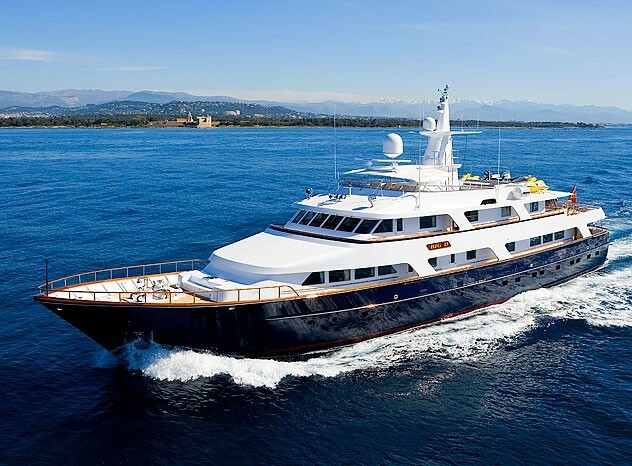 Motor Yacht LADY ROSE is a luxury yacht built by Hitachi Zosen Corporation in Japan in 1986, measuring 45m (147.7 feet) in length, and accommodating up to 12 guests in 7 attractive staterooms. 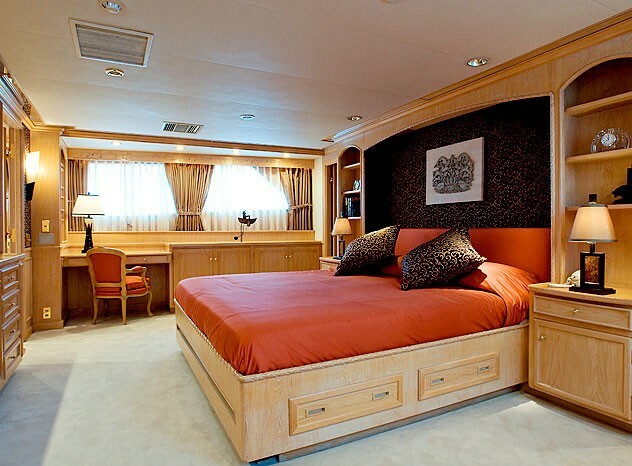 LADY ROSE offers an abundance of space, comfort, openness and incredible quietness while underway. 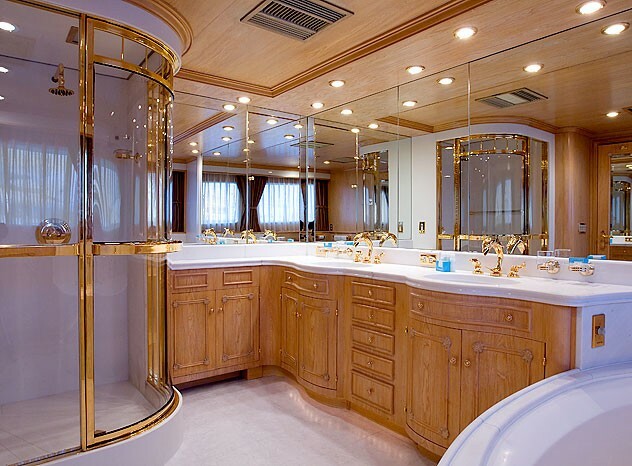 Her classically elegant interior, designed by Pierre Tanter of Studio Larvor in Cannes, and decorated mainly in creams and tones of grey and beige, with attractive light wood cabinets and panelling throughout. 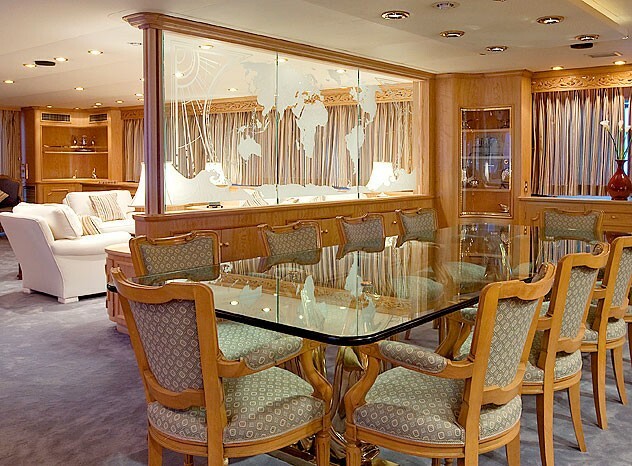 There is a large attractive main salon, with an elegant cream lounge suite with satin scatter cushions, and a stylish dining area further forward, separated by a discrete glass screen beautifully etched with the world atlas. 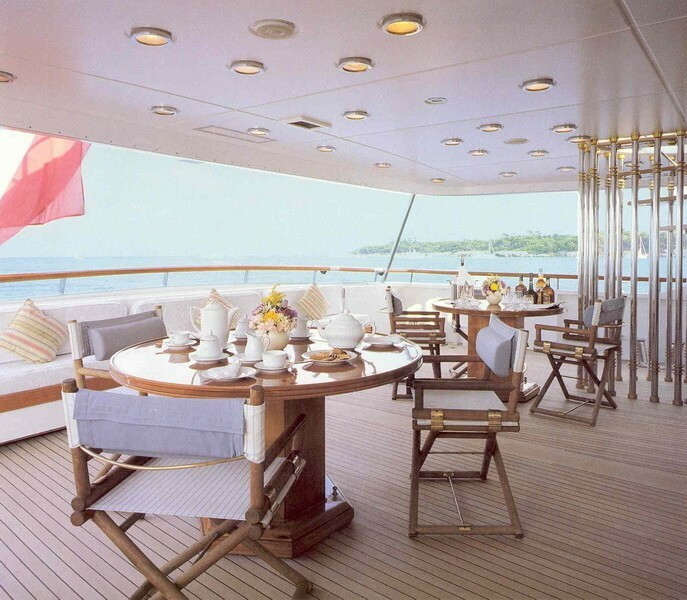 Motor yacht LADY ROSE has a good range of deck space for a variety of outdoor living and dining. 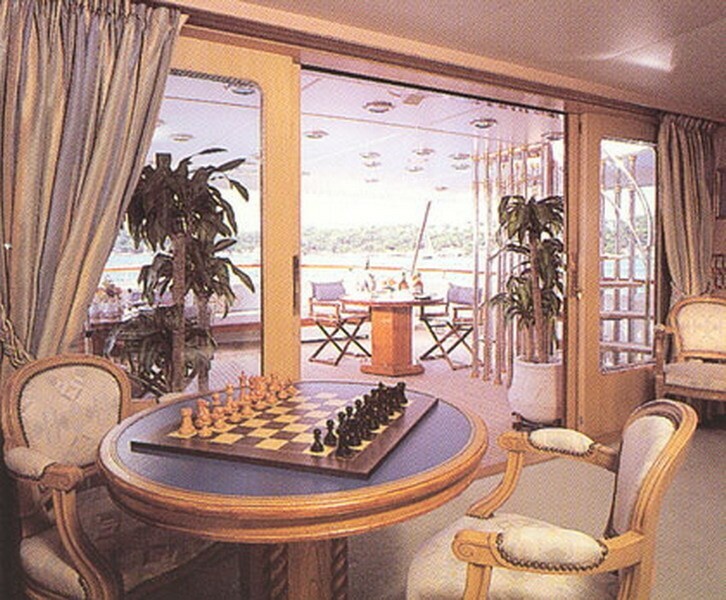 There is a lounge area aft on the main deck with chairs and round tables where guests can enjoy drinks and snacks alfresco. 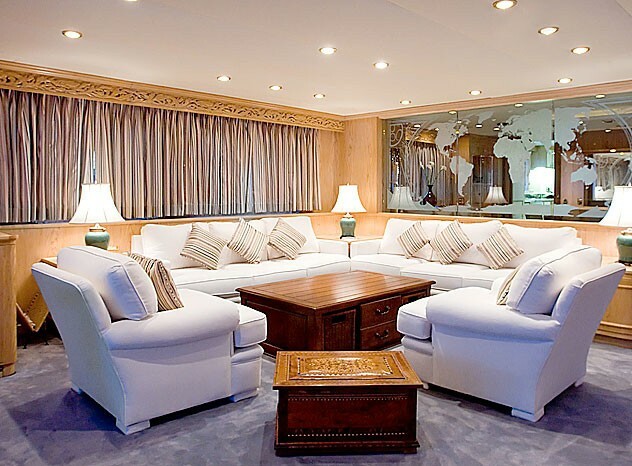 There is also a sun deck which is nicely laid out with a dining area aft, and a Spa Pool with ample sun pads where guests can relax with a cold drink, soak up the sun, or simply enjoy the beautiful view. 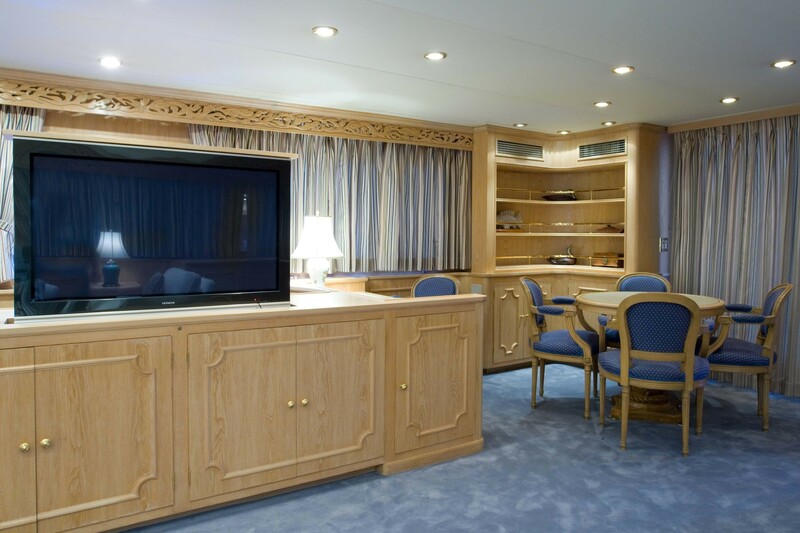 There is a large variety of indoor amenities, including Internet/Wifi, TV, DVD and CD player with well-stocked libraries. Water sports equipment, includes a 21ft Custom Tender with 212hp engine, a Rescue Boat, a 5m Nautica Tender, 2 Seadoo 850cc Waverunners, Water Skis and Tows, Doughnuts/Air Head, Fishing Gear, Snorkeling Gear, an Exercise Bike, a Treadmill, and a Spa Pool Dip Pool. Rendez-vous diving is also available by appointment. 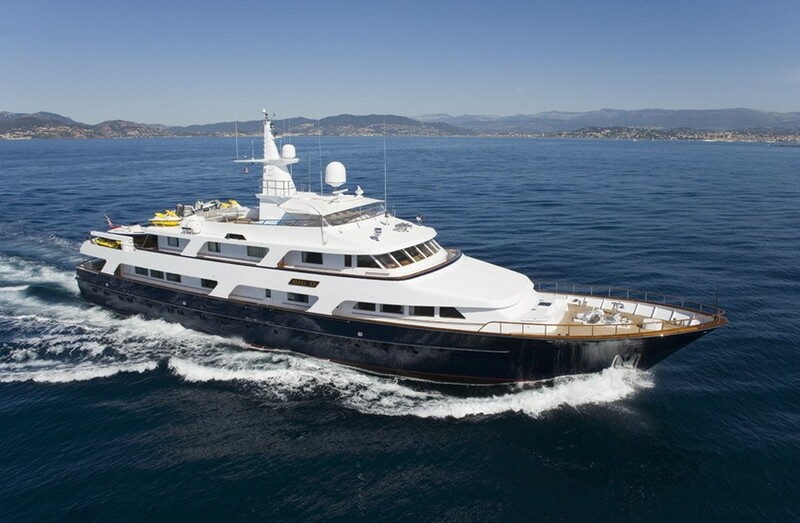 LADY ROSE measures 45m in length (147.7 feet), with a beam of 8.94m (29.3 feet) and a draft of 2.92m (9.6 feet). 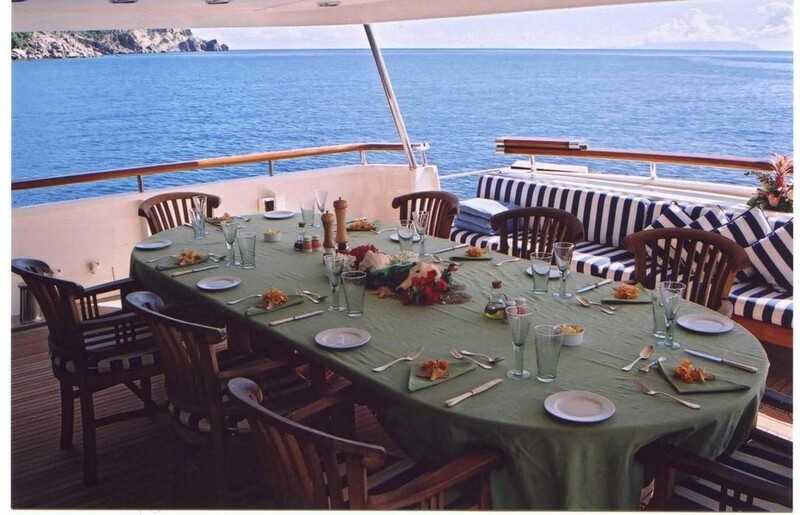 There is a professional crew of 10 ready to welcome charter guests onboard. 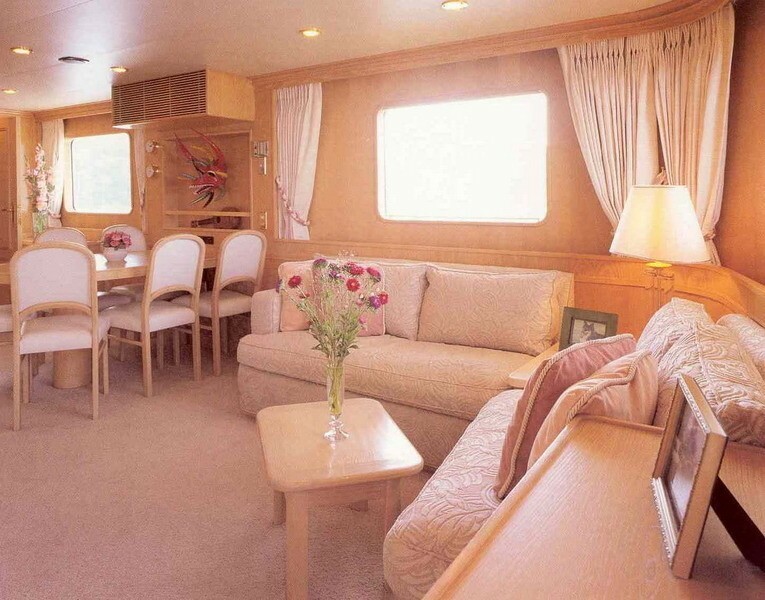 In 2005/2006 LADY ROSE underwent a mechanical, exterior & interior upgrades. 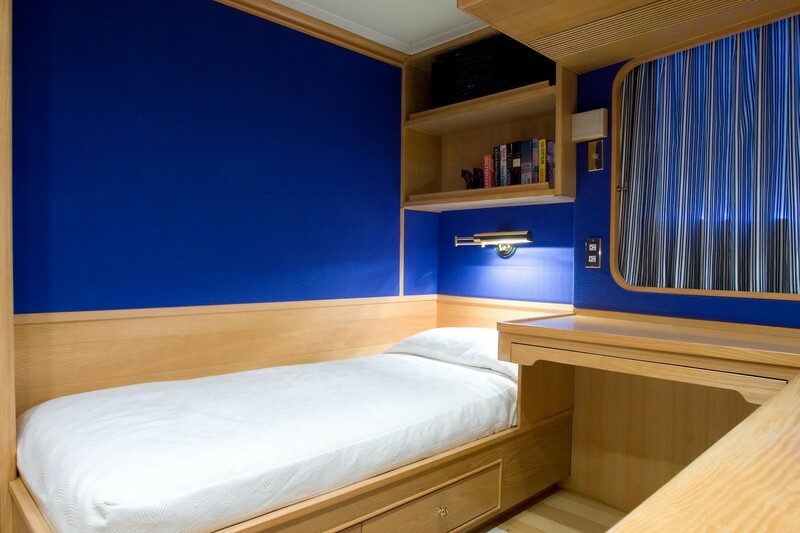 This included a complete repaint and change of the hull colour to blue. 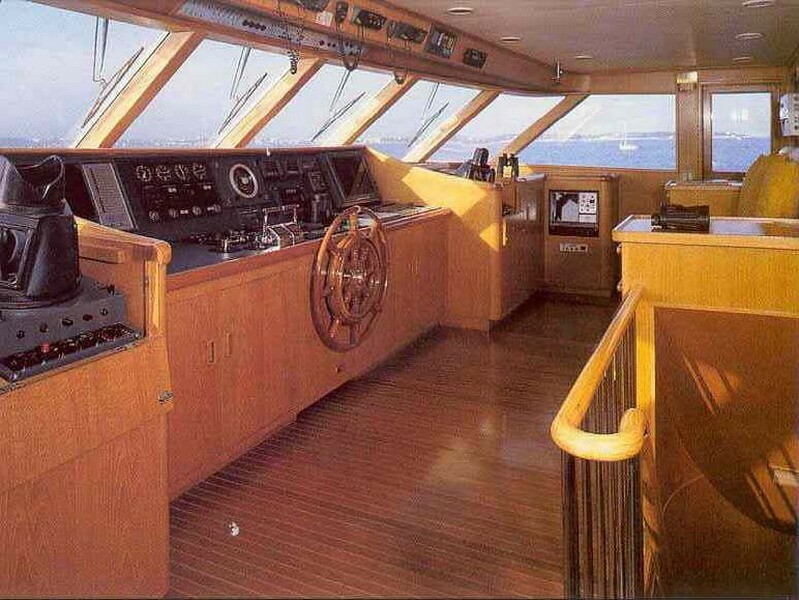 New teak decks laid and some new upholstery. 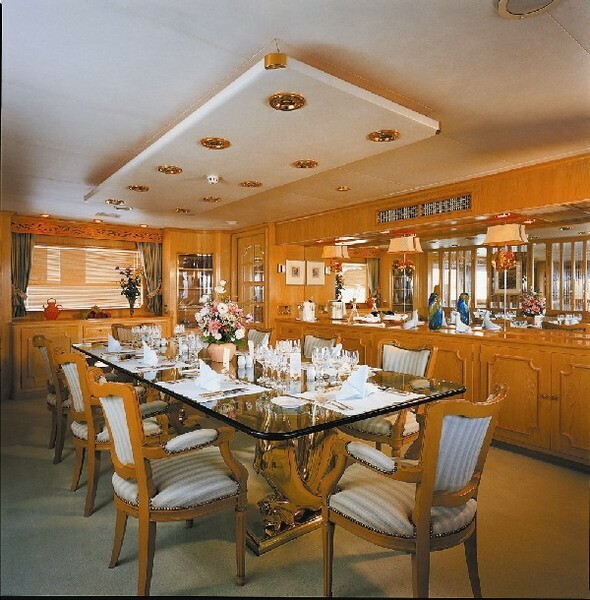 The interior refit was undertaken in the winter of 2007/2008. 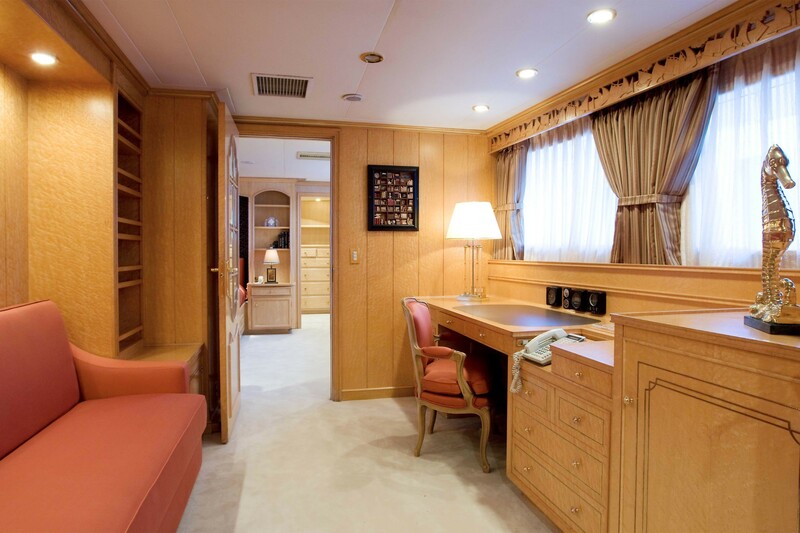 M/Y BIG D is able to accommodate up to 12 charter guests in 7 cabins including an Owner cabin with bathroom, walk-in dressing room and ensuite study, a Guest double with bathroom, walk-in dressing room and ensuite, 3 Twin cabins with bathrooms and walk-in dressing rooms ensuite, and 2 Single cabins with shower rooms ensuite. 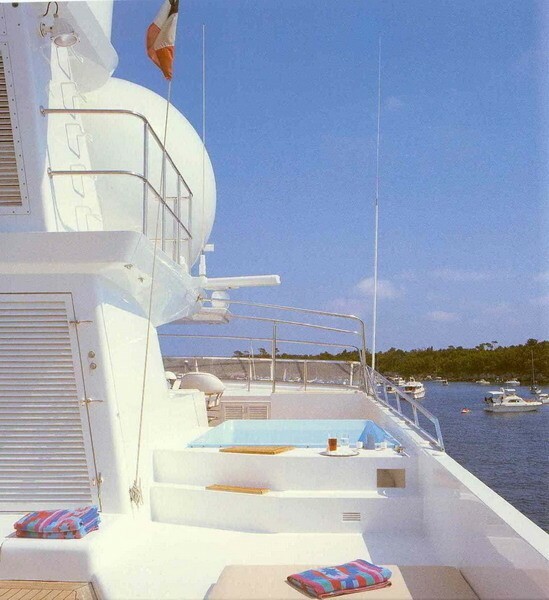 Yacht BIG D has the following Tenders & Toys and amenities: A 21ft Custom Tender with 212hp engine, Rescue boat, 1 x Nautica 5m 90hp Yamaha engine, 2 x Sea Doo 850cc waverunner, Waterskis and tows, Doughnuts / Air head, Exercise bike, Treadmill, Fishing gear, Snorkelling gear, Spa Pool dip pool, Spa Pool dip pool, Communications include 2 x Satcom (each with/telefax/telex/email), Satellite TV (in restricted areas), Cellular telephones (Europe), Mini M – phone & fax, Fleet 77 – phone & internet, wifi available when close to land, Audio Visual Equipment and Deck Facilities include TV & DVD, Stereos music systems.